Comments Off on How Can Latin American Startups Attract Foreign Investors? 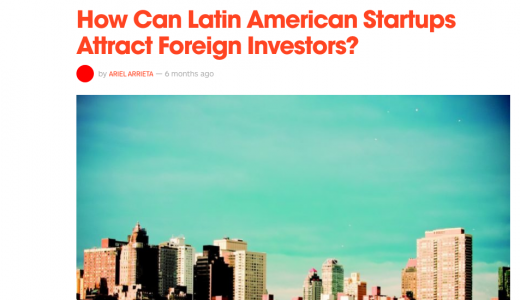 I contributed to The Next Web on an article about investing in Latin America. The amount of innovative and dynamic startups in Latin America is skyrocketing right now, which means many companies are scurrying to find investment. While startups in the region typically have no problem finding seed and Series A funds, raising larger amounts of cash can be tough. Since this is a challenge, many startups look to the US or Europe when they are ready for Series C and D funds. This entry was posted in Entrepreneurship and tagged The Next Web by editor. Bookmark the permalink.